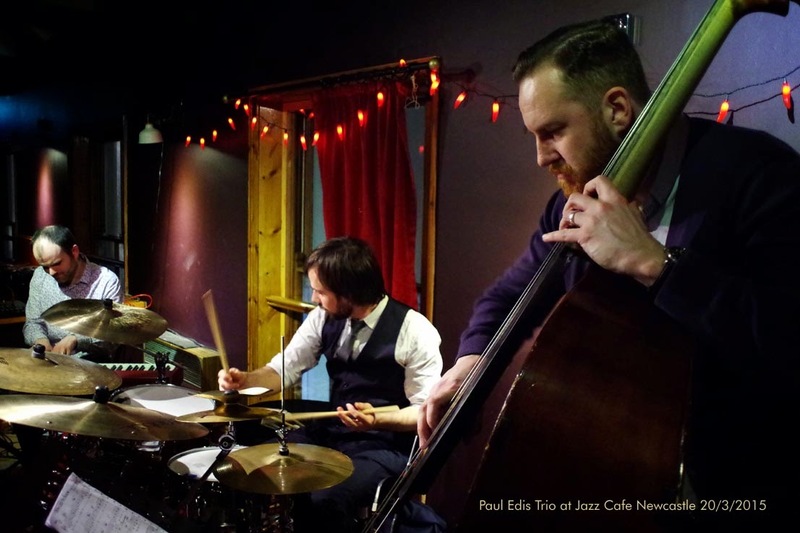 bebop spoken here: Bruce Adams w. Paul Edis Trio @ Jazz Café - March 20. A technique and a range to die for, Adams has taken the legacy of Kenny Baker and built upon it. Flugel horn is an instrument that most jazz people, myself included, relate to wistful ballads as played by, say, Art Farmer. Not Bruce! He wails like a Blue Note Cooker not afraid to take the bigger bored instrument up into the canine audio levels normally associated with Duke's feline! He can purr on the instrument as well - the encore, I Remember You, proved that. The highlights were many despite, or more likely because, the tunes weren't of recent vintage - we had to make do with Johnny Mercer, Rodgers and Hart and co! 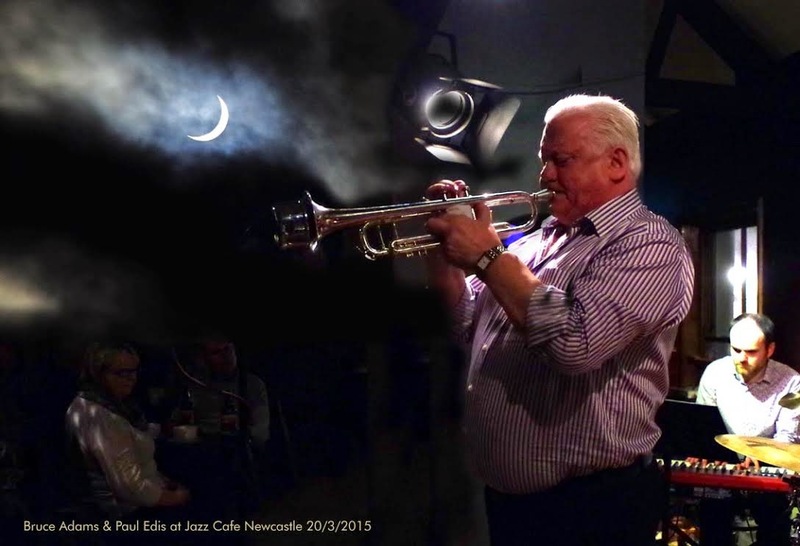 In the engine room, Edis - who'd played a lunchtime gig at Durham's Gala Theatre with the brass ace - did everything we've come to expect from this modest guy (Paul, if I had your talent, modesty would be long gone!) His solos, the blocked chord passage on How Little We Know was but one of many that ticked all the boxes for me. Andy (the "and still undefeated") Champion retained his title in both the arco and the pizzicato divisions. Which just leaves Adam Sinclair. Great with sticks and brushes but, give him a shot of Braziliana, and sticks and brushes are swept away to be replaced by the most effective hand drumming I've heard outside of the Rain Forrest .